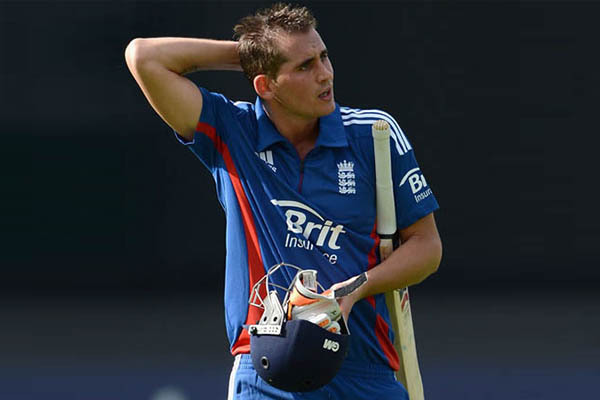 A breathtaking display from Alex Hales, who hammered England’s first T20 hundred, inspired a beleaguered team to their highest-ever T20 run chase as they hunted down 190 to overcome Sri Lanka and keep alive a realistic chance of progressing in the tournament. It was an astonishing turnaround after a shambolic fielding display which included four dropped catches and a missed run-out to allow Sri Lanka to reach an imposing 189 including a stand of 145 between Mahela Jayawardene and Tillakaratne Dilshan. England found themselves 0 for 2 after the first over of their chase before a brilliantly calculated assault by Hales and Eoin Morgan who added 152 in 15.2 overs for the third wicket.